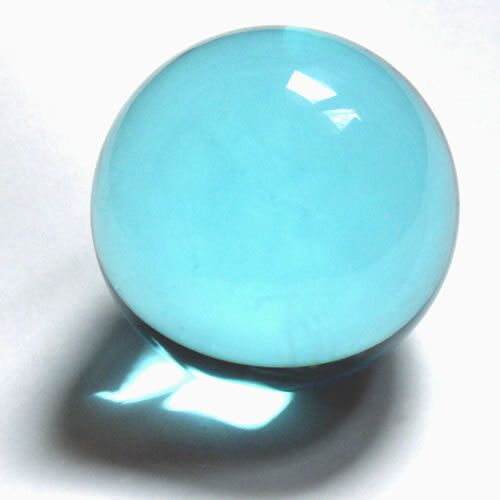 I had a great idea for a time-saving Christmas present, a crystal ball so I could see the truth about future social media developments. Unfortunately, Santa didn’t deliver, so all I can do is share a few social media predictions and aspirations I hope will come true during 2013. It’ll be interesting to look back at the end of the year to review. I believe Google+ is poised to become a much larger player in the social media world than has been the case so far. Whatever is said about Google+ the fact remains that as offspring of the almighty Google it’s likely to be given every advantage to grab a large share of the social media user market. Nepotism is far from dead! Actually, I think it’s still suffering from actual lack of people who are signed up. Compared to Facebook it’s still lagging behind in the loyalty and brand advocacy stakes however many bells and whistles Google attaches to the Google+ dashboard. However, I think the current situation will gradually change through promotion of the fun aspects of Google+, assisting familiarisation with using the platform. The rise of the Google+ local to replace Google places provides a further indicator of how the platform is poised to get out there and grab more of Facebook’s share of the social media user market. The outcome from the market share battle between Facebook and Google+ will be an interesting one to review at the end of 2013. I unashamedly love Twitter and can’t understand businesses who “don’t get it”. Twitter provides such an easy way to engage with people, with very little effort. You can start conversations from your office chair, while on the train or eating your lunchtime sandwich. Twitter provides me with opportunity for networking while travelling on public transport to networking events, which can themselves take up valuable chunks of the day. I find I’m asking myself, increasingly, the value of attending offline networking events rather than devoting the time to networking online. The 140 Twitter character format is perfect for exchanging news, views and useful information, providing a snapshot to the Twitterverse of who you are and what you’re about. It’s almost impossible not to end up with quite a large network of people who ‘know you’, which is the beauty of the platform, if you play it right. The return/value of promoted Tweets is something I don’t have enough data to predict future growth one way or another, but I can only see Twitter growing in use and popularity. Twitter works for those who don’t just enjoy the banter but value the benefits that interactions can yield, in the medium long term. If you’re already on Twitter then why not engage and start a conversation @SusanCollini, – it’s good to talk! Love it or hate it there’s no getting away from the fact that most of the world seems to have at least an awareness of Facebook. I’m not someone who deals with branding, but I bet there’s few brands as famous. I’ve experienced quite a few business clients who’ve expressed a reluctance to embrace Facebook as part of their social media strategy. Contrary to popular belief, it’s not all teenagers who spend hours on the platform, there’s plenty of older people too. If it’s true what they say, that “Users on Facebook stay on Facebook”, then that’s enough reason to get yourself a business page on Facebook as opposed to ignoring it. Using my business as an example, I was a little skeptical too in the beginning. However, I’ve found I often get greater engagement with blog articles shared on Facebook than I do on the actual blog. Consequently, I find the Website Wings Facebook page is a very effective way to promote new blog posts, workshops and social media huddles; information often then shared to the networks of my page fans. As an online marketing tools it works very well. Furthermore, if you’re a business serving a local area there’s now even more reason to get on with creating a Facebook page. Just before Christmas Facebook rolled out an update to the ‘Nearby’ tab within its mobile app, to give local businesses more of a chance to be ‘discovered’ by mobile users. The ‘Nearby’ tab was previously used to indicate to users where their Facebook friends had checked in. Now users of the Facebook mobile App can still view which of their ‘friends’ have checked in, but they’ll also be able to discover places and businesses that are nearby. The value to local businesses is obvious. My social media prediction for 2013 in respect of Facebook is, it’s going to continue to grow, but maybe not at the rate seen in the past. I base this prediction purely on the fact that Google+ is going to develop such a strong ‘offer’ by the end of 2013 that the benefits of time spent there, as opposed to on Facebook, will present a strong pull. Famous last words! I had one client who wanted me to teach him how to ‘shake’ potential customers out of LinkedIn! I’m afraid it’s that old story of getting out as much as you put in. Just wearing the badge on your social media profile lapel isn’t going to be very effective. There’s a need to actually participate with others on the platform, not just for the purpose of growing the numbers of your connections, but the right connections. There’s so many benefits to be gained from using LinkedIn as part of a business social media strategy, I don’t know where to begin. Suffice to say, if you don’t appreciate the gains to be had, make it your New Year’s resolution to discover more. I’ve found being a member of groups and participating in the ongoing discussions has generated leads from areas of the country I never would have considered ‘my patch’. These leads have turned into paying customers for workshops and consultations about how to develop their social media strategy. LinkedIn is probably the first port of call when wanting to find out more about a person. The fact that there’s opportunity to read not only what the person under scrutiny has to say about themselves, but what others have to say about their work is invaluable. It’s your own online marketing resource, for free! I predict that 2013 will see a growth in businesses taking fuller advantage of what LinkedIn has to offer, as they become more aware of how others are utilising it. I work with some businesses who love Pinterest and some who can’t see the point in it at all. Given the growth in users over 2012 I think it’s not a social media platform any business should ignore, purely from the potential of social sharing. Given that social sharing creates social signals and social signals mean ‘prizes’ from Google, my social media predictions for 2013 contain a strong belief that Pinterest will be utilised by many more businesses by the end of 2013, the launch of Pinterest business pages notwithstanding. So there’s my 5 social media predictions for 2013, along with my experience of how businesses are currently engaging with the various platforms.